The word used for approached, VaYigash, has a distinct meaning. It does not mean that the person took a step closer; it means that the person took a different approach. 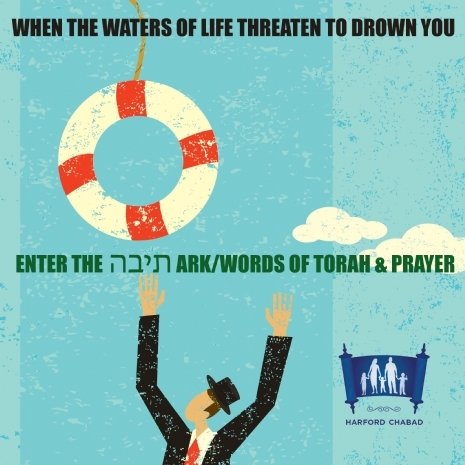 We see three tactics in the TaNaCh that uses the word Vayigash: appeasement, war and prayer. Rashi says that Avraham used all three strategies when he approached G-d to save Sodom and Gomorrah. Avraham was willing to go to war with G-d, appease G-d and pray to G-d to change His mind. Note: this was after the destructive angels were already sent to destroy the cities. Avraham was “the nicest guy”; he was always being kind and was a non-confrontational person. This same Avraham knew one thing: when lives are at stake, when someone is facing death, be it a spiritual death or a physical death, we need to do whatever is in our power to save them. Our nature may be to be kind but for the sake of someone else we may need to “go to war” on their behalf or for them. When you see someone who is disconnected from their Jewish heritage, encourage them to reconnect. It can be by organizing a Jewish event that they can attend or having them over for Shabbat dinner. Sometimes it calls for us to go out of our comfort zone to re-connect them with Torah and Mitzvos which are life giving. If you are successful great! If not, you did your best. Avraham was not successful in saving the cities of Sodom and Gomorrah yet he did his utmost and that is all that G-d wants from us. Have you ever seen young children playing at a park? Notice the joy, smiles, laughter and the wail when they get a booboo? 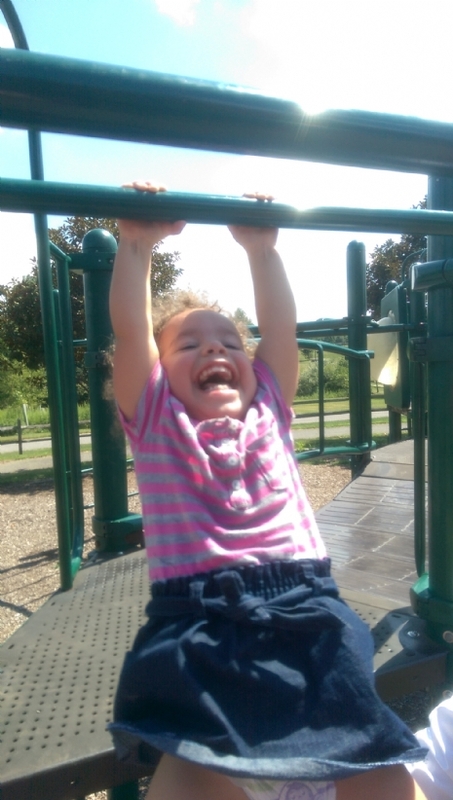 The carefree desire to try something (like monkey bars) that is beyond their age range? Have you ever seen a teenager at a park? The looking at the cell phone, the undecided look whether to try the monkey bars; after all what if I look clumsy? What's the core difference between these two ages? The level of understanding. The Torah does not waste words only to tell us some Jewish history, yet the Torah tells us all about Yishmael and Yitzchak , the children of Avraham (see more details of Abraham’s life, much of it not from the Torah's text, here). G-d tells Abraham that Sarah will bear a child who will carry on the tradition. Avraham responds: If only Yishmael will live before You! To which G-d says: Yes Yishmael will be blessed but I will establish my covenant with Isaac. G-d is telling Avraham that Yishmael grew up with religion being based on logic; he serves G-d because it makes him feel fulfilled. My covenant will be established with Yitzchak whose life (even his conception) is miraculous and beyond understanding. This tale of two children, that the Torah shares, teaches us one of the important values of Jewish continuity; live above nature and serve G-d beyond what you can do naturally. Yishmael and Yitzchak both were circumcised leaving an indelible mark for life connecting them with G-d. Yishmael was 13 years old and can understand why to serve G-d and Yitzchak was circumcised at 8 days, even before he understands. Be like the 2 year old who tries the monkey bars and serve G-d one time in the next week above logic and nature. Please let me know what you did and what effect it had on you. Do You Want To Climb Into Your Ark? So how does this play out? Israel will flex its muscles, get the situation under control, the UN will condemn Israel, the US will play politics, the families who have murdered children or spouses will be left to their pain and longing for years to come, many of those wounded will suffer from their wounds for months, years and others for the rest of their lives, and where will you and I be? It is tempting to say a prayer and hope this all blows over quickly. It is tempting to climb into our arks and pretend that there isn't a storm out there. The fact is that when our brother or sister is in pain or in danger, we can't possibly close our eyes to their pain. The fact is that there is work to be done and we are called upon to do it. In fact being a Jew is about answering the call, G-d's call to us to step up when there is a need, to step up to make a difference. At the end of this weeks Torah portion we read of Noah comfortably (or not so comfortably) in the ark not wanting to join the world outside because of its demands. He waits until G-d instructs him to GO OUT of the ark - Tzay min hatayvah. Because that is what we are called upon to do when the ground needs tilling, when the world needs us we can't sit in the comfort of our own realities and ignore the world outside. Use any influence you have politically to ensure that Israel has the support of the world.Use your sphere of influence to speak to those around you to influence their thinking and for them to use their connections to lend more support to Israel. But really my friends, King David tells us "don't rely on humans, who have no salvation". Humans and politics are limited like the finite human body and it is ultimately only G-d in Heaven who can help us. So what does He want? More. More. More. More Torah. More Mitzvah. More love for our fellow. So go do More, More, More. A little more, a lot more, a tremendous amount more, whatever. Let's get out of Arks and go out and do more to make the world and more G-dly and goodly place. Did you get the sock? Did you see the sock I sent you? Did you notice it was only one sock? What did you think? Will you be joining us on October 25th or 26th? We arrived back home yesterday from our annual trip to Los Angeles. One of the difficult parts of any trip is the unpacking upon returning home. Travelling, seeing family and friends, sightseeing and shul hopping are enjoyable and fun. Unpacking everything, even to the last sock (that's missing it's pair), when we get back is hard. The physical and the emotional unpacking are hard. However, without unpacking we cannot use anything we got. This Shabbos we bless the new month of MarCheshvan. We have arrived home from a trip - a month full of festivals, celebrations and inspiration. Along the way we acquired all sorts of new things: forgiveness, renewed commitment, joy and Divine blessings. Now the work begins to ensure that we unpack our festival experience in a way that it becomes useable. Whether it is attending a new class, doing a new Mitzvah or strengthening our relationships, we all need to find something tangible with which to take this month's inspiration with us. Happy unpacking and have a wonderful Shabbos (Minyan starts Shabbat morning 9:30 am). There will be a few emails this week introducing the new and improved Weekly Class, Torah and Tea, JLI course and the deStress lecture. Please keep an eye out for them. My thanks to Rabbi Michoel Gourarie whose email this was adapted from.